Award-winning educator and peace activist Dr. Emmanuel Ande Ivorgba is the founder and Director of Creative Minds International Academy (CMIA), a values-based K-12 school in Rantya, Nigeria, which has partnered with Mindfulness Without Borders on youth leadership. 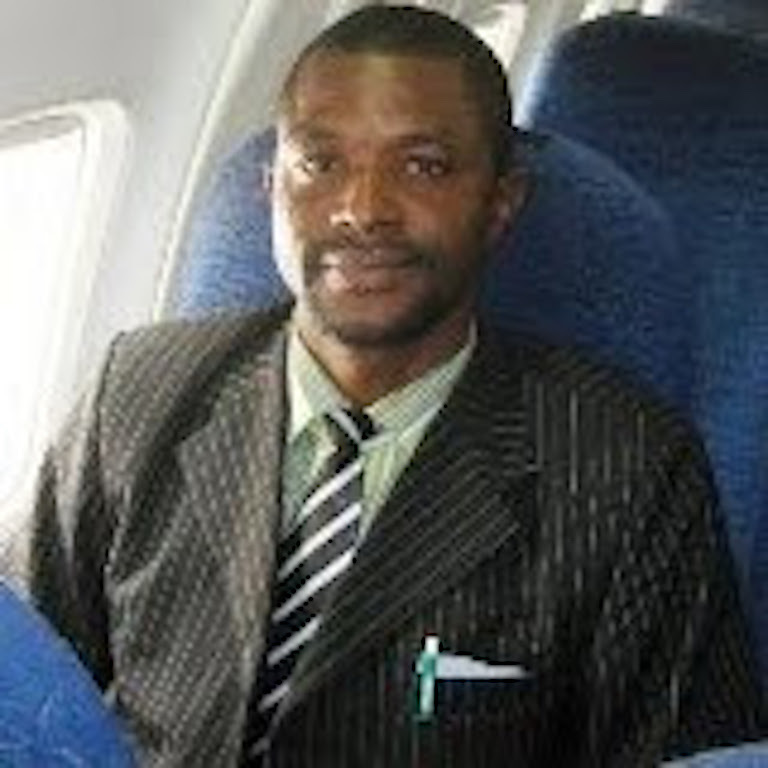 Dr. Ivorgba is also Executive Director of New Era Educational & Charitable Support Foundation, West Africa Regional Coordinator of the United Religions Initiative, and Africa Program Director for Project Happiness. Some Christians are concerned about mindfulness because many of the popular practices have roots in Buddhism. As a seminary-trained Catholic who has met with the Dalai Lama, what is your perspective on mindfulness and Christianity? The conversation about mindfulness and Christian faith is a very significant one. Mindfulness is basically the practice of paying attention. It is noticing what we are doing, feeling, and thinking at the time we are actually doing, feeling and thinking it. For Christians, the term mindfulness has a variety of meanings and purposes, including meditation and compassion. Because God is an indispensable part of our everyday lives, worship of God, obedience to God, service to God, paying attention to God and focusing on God’s kingdom are fundamental practices of Christianity. Meditation and prayer are practices during which the Christian considers some fundamental truths about God, and then focuses the mind and heart on that truth. It is both interactive and expressive. It is the subjective aspect of understanding God’s Word. In Psalms 55: 17 and 64:1, it is an introspective and silent experience as well as a vocalization. The Hebrew words used in that text, “siyach” and “hawgaw”, translated as “meditate” in English, mean “to ponder”, but it also means ‘to converse aloud”. During the 2nd century A.D., a group of early Christian monks known as the Desert Fathers retreated from the world to live in solitude and simplicity and to establish intimacy with God. For more than 1000 years after this, meditation increasingly became an important part of Christian prayer and practice. In the 16th century, Spanish mystics Saint Theresa of Avila and Saint John of the Cross championed meditation and other mystical practices. In the 1960s, Roy Masters developed a new variation which he called “Be Still and Know”, intended to increase clarity of thought by removing emotional reactions, resulting in great spiritual and physical benefits. Today, meditative practices, in one form or another, appear in almost all of the world’s religions, faiths and spiritual traditions. Christian Meditation involves a stillness of the body and spirit to the extent that the presence of God becomes real and active in our lives. Despite all the modern distractions that confront us, contemplative silence is possible. The all-important goal of Christian Meditation is to allow God’s mysterious presence within us to become more and more real. Another meaning of mindfulness is "heartfulness”– a practice of building heart-to-heart connections by cultivating acceptance and compassion for ourselves and others. Since God’s compassion is sufficient for us all, we can be more consistently thoughtful and loving toward others when we are consistently in a place of receiving God's love. From my experience, mindfulness opens us up to embrace and accept others more freely as children of God, and this is the aspect of mindfulness that I love so much as a Christian. Though a lot of Christians do not feel comfortable with the Buddhist connection to mindfulness, I personally and honestly do think and believe that mindfulness is beneficial for people of all spiritual traditions. If we sincerely want our current habits and thought patterns to be purified and changed, mindfulness presents something so profound and reliably effective in bringing peace and freedom to our lives. It not only empties our brains of falsehood, frustrations and anxieties, but replaces all these toxins with the life-giving truth of acceptance and understanding in the present moment. citizen engagement and the accountability of each individual to be a steward for positive change. You have many years of experience with interfaith dialogue and community building. How can we engage with people from different backgrounds while maintaining a strong connection to our own faith and our own culture? In our global age, contacts with 'religious others' are no longer isolated occurrences. To see the world through the lens of others, and not only my lens, is to realize the presence of God around us and that we are connected to each other through ties both visible and invisible. God is mysteriously present in each and every person and every person manifests God’s love in a way in which only he or she is able. Interfaith Dialogue encourages diversity of thinking and opinions rather than suppressing these notions. Engaging with people of different cultural and spiritual backgrounds requires a lot of patience, openness, understanding, humility, and the willingness to learn and to also share. Interfaith Dialogue is a collective way of opening up judgements and assumptions. expand the space for more inclusive participation in the decision-making process. character traits for effective leadership as part of a Mindfulness Ambassador Council lesson. 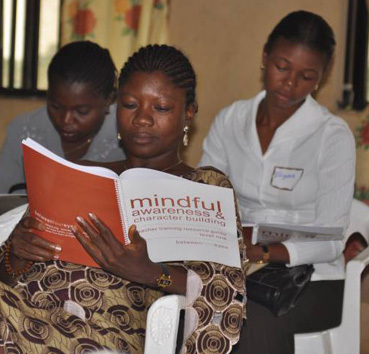 Is mindfulness teaching common in Nigeria? Have you encountered any resistance from parents, teachers, and school administrators, or are most people supportive? Mindfulness is not a common practice in Nigerian schools. However, there is increasing interest in emotional intelligence, and recent curriculum changes include Civic Education Studies and some aspects of Social Emotional Learning at the secondary school level. Some private schools are beginning to introduce mindfulness techniques and practices. 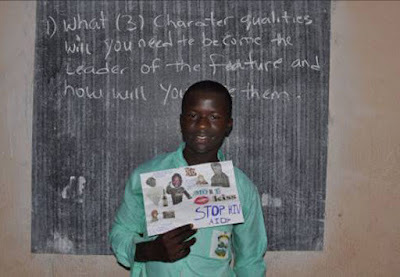 For example, at Creative Minds International Academy, a co-educational school in the city of Jos, the Mindfulness Without Borders’ curriculum for youth, the Mindfulness Ambassador Council, provides students and faculty with the space for personal and group reflection. Students learn key tools and strategies to navigate the ups and downs of everyday life. They learn social and emotional competencies to cultivate intimacy, forge deeper connections and be ambassadors for peace. So, we are gradually overcoming the initial doubts and suspicions from people who thought we were introducing a new religion or some strange practices. in a mindful walking practice as a way for individuals to appreciate the present moment. Are you familiar with any traditional West African practices related to mindfulness and compassion? There is this popular saying in my village that “No matter what happens, the Sun will continue to shine its light upon us”. Generally, African society is communal, and within that communal experience, you find seeds of compassion, love, care, kindness, solidarity, sharing and attention. This experience sustained our forefathers and grandparents and still sustains us today. We may not have the benefit of documented evidence, but these values and experiences are boldly written on our hearts and minds, and transmitted from generation to generation. The idea of living for the sake of others, being mindful of ourselves, others and our environments, is authentically African. That is why in Africa, “A Child belongs to the Community”. Many of these practices are based fundamentally on oral tradition and practice, with no place in the pages of books or the mass media, but in the hearts and minds of men and women of Africa, passed down to them through oral history, rituals, shrines and religious functions. The teaching profession-in fact, education generally, is one area in great need of mindfulness. Mindful teaching helps us to tune into what's happening, inside and around us. By integrating mindfulness into the curriculum, we have the opportunity for an education infused with awareness, attention, compassion, gratitude, kindness, empathy, and love, etc. 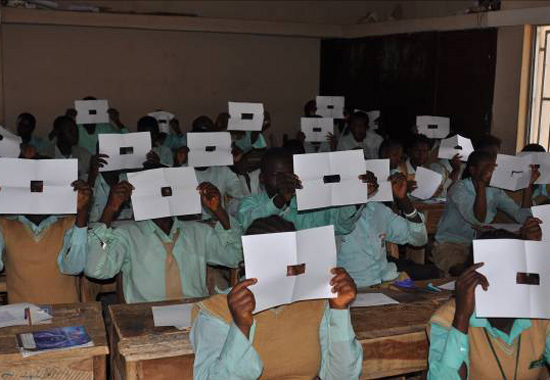 I understand it as an opportunity to cultivate attention and promote peace in the classroom. how perception is altered as distance is created between the observer and the observation. Though I spend most of my time running around, attending to one project or another, when I do have some time to spare, I engage in simple mindful practices. These include breathing exercises. This is usually very simple and easy, but the power and results generated can be amazing, and it helps me to be more focused and bring the wandering mind back home to itself. Mindfulness facilitates my listening ability, enabling me to hear clearly what others are saying to me, not what I think they are saying to me. It also allows me to identify unwelcome behavior in others and address it in the moment, rather than facing regret later for not having done so. Sometimes, even when I eat, drink, or chat with someone, I try to do these mindfully– mindful eating, mindful drinking, mindful listening, etc. I also love mindful walking meditation and practice it a lot. It helps me to become alive to myself, and to become fully aware of others, the environment and the Earth we have inherited. That is to say, living in the moment, being aware of what I do. It allows me to walk in truth by seeing others and myself as we truly are. Mindfulness is the energy that helps me recognize the conditions of happiness that are already present in my life­. With an outlook of happiness, I can bring deliberate attention to appreciating life, rather than focusing on what is upsetting, wrong, or missing. The goal is to incorporate this awareness and my gratitude for life as a part of each day. That's a great point about accepting the imperfections of our internal and external worlds.